After the Children’s House, a student’s journey at Von Wedel Montessori School continues in our Elementary School, where you will find students in Kindergarten through Grade 5. The Elementary Years are a time filled with the excitement of having new teachers, studying new subject areas – and studying in new ways – going off-campus for field trips, performing in student productions, experimenting with various educational technologies, exploring “big” concepts, interacting with the outside world through service projects, and making new and lasting friendships. Von Wedel’s elementary classrooms are vibrant and loving places of learning. Students care about what they learn, they have a voice in their classrooms, they pose questions of interest to them, and they bring their individual strengths to the process. Through inquiry and exploration, the program engages students in their learning while continuing to build their fundamental skills in all subject areas. We believe that students learn best when they are empowered and feel ownership in their classrooms. This translates into a joy of and passion for learning that explains not only why Von Wedel students love coming to school, but why they feel attached to their elementary experience well into their college years. 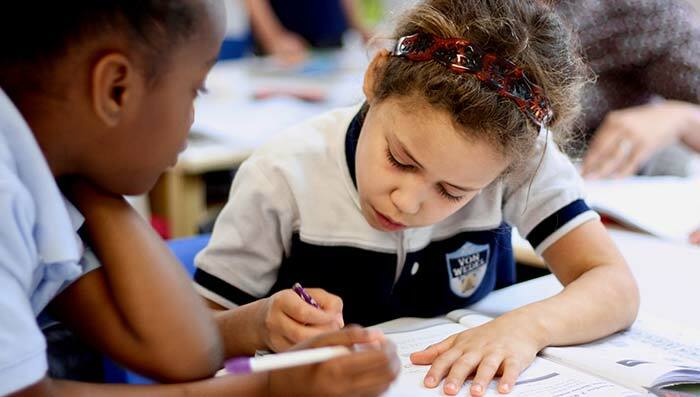 At the heart of the Elementary experience is Von Wedel’s exceptional academic program. 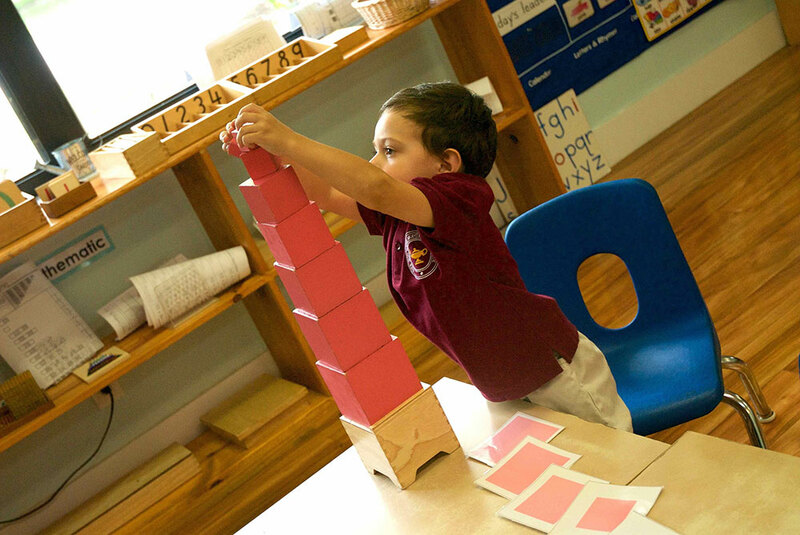 We draw on Montessori materials and approaches as well as other proven teaching strategies to give our students the tools they need to succeed in all that they do. In all our elementary classrooms, students learn core academic subjects in small groups with their teachers, and then extend their understanding of the concepts through collaborative and independent work. 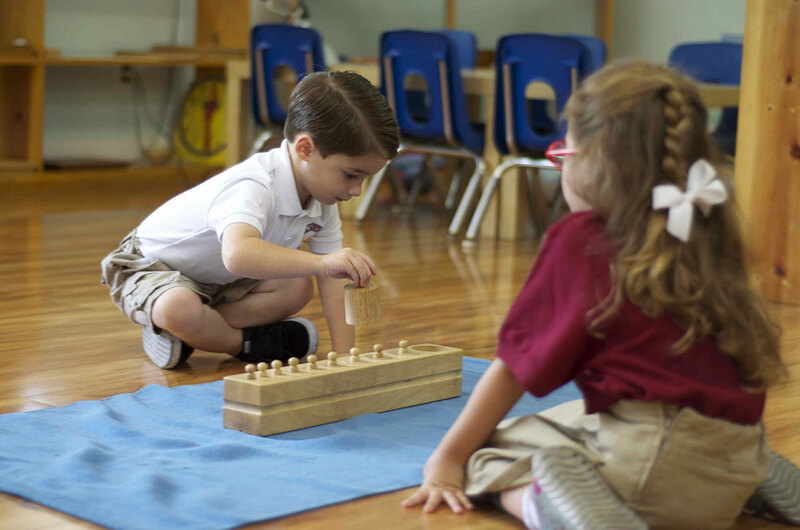 The curriculum is carefully designed to achieve specific outcomes, and the Montessori methodology is supplemented with Singapore Math and the balanced-literacy approach developed at the Columbia Teacher’s College Reading and Writing Project. Homework supports daily instruction and consists of nightly reading assignments, extension work from the classroom, and longer-range projects. During this time, our students begin to develop the resilience and learning traits that lead to future academic success. They connect personally with their learning, are given many opportunities for self-expression, and grow in competence and confidence. As self-motivation and self-discipline take root, students become increasingly critical in their thinking; learn how to ask the questions they need answered; evaluate information and ideas; articulate abstract ideas; organize thoughts and information; use technology; and conduct themselves appropriately with adults. Students have blocks of time for independent and collaborative work, consulting with teachers as needed. Tests are used to assess mastery of skills, to develop the discipline of preparing for exams, and for bench-marking purposes. The capstone of the Von Wedel experience is the fifth-grade year. As the student leaders of the school, fifth graders not only work as guides to Primary and Lower Elementary children, but even speak about the school on Admissions tours with prospective parents. 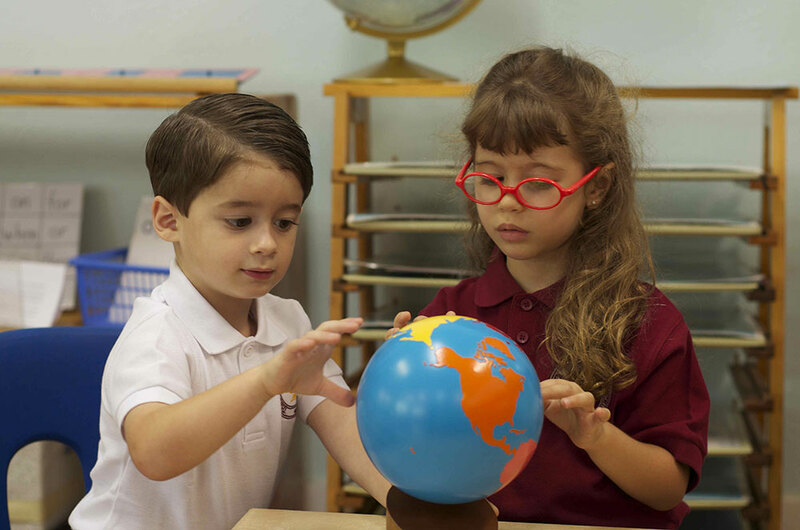 Von Wedel Montessori School serves the academic, social, emotional, and behavioral needs of children from Kindergarten through Grade 5, as they transition from a concrete to a more abstract world and begin a rigorous process of self-construction. And the term “self-construction” is carefully chosen. Dr. Maria Montessori based her developmental philosophy and methodology on the belief that the child possesses, and must exercise, the desire and the potential to build himself or herself into a complete human being. As such, Dr. Montessori designed her holistic educational approach to support the child in carrying out this responsibility and attaining this goal. Von Wedel’s Elementary program takes her work as its foundation, and adapts the curriculum and themes to reflect the realities of the United States in the 21st century. What do we seek to offer our students? How do we provide these offerings? How does the Elementary program differ from the Primary program? What happens after Von Wedel? 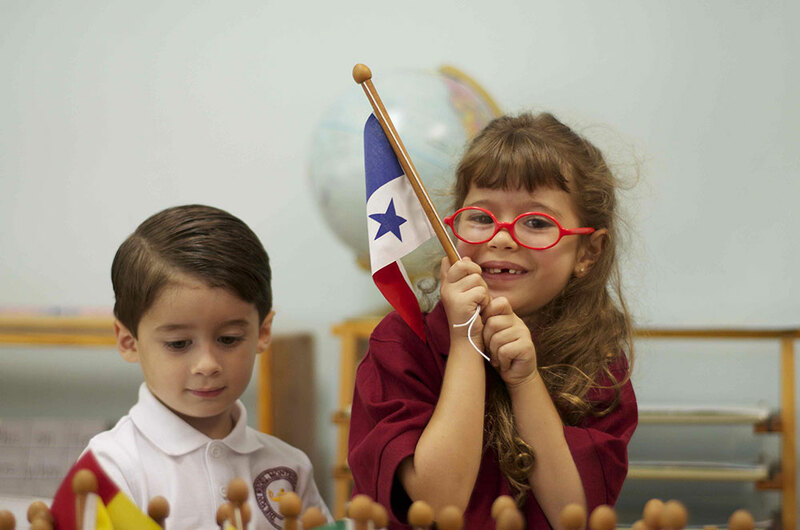 First and foremost, the Elementary School continues the educational and developmental processes that began in our Children’s House. 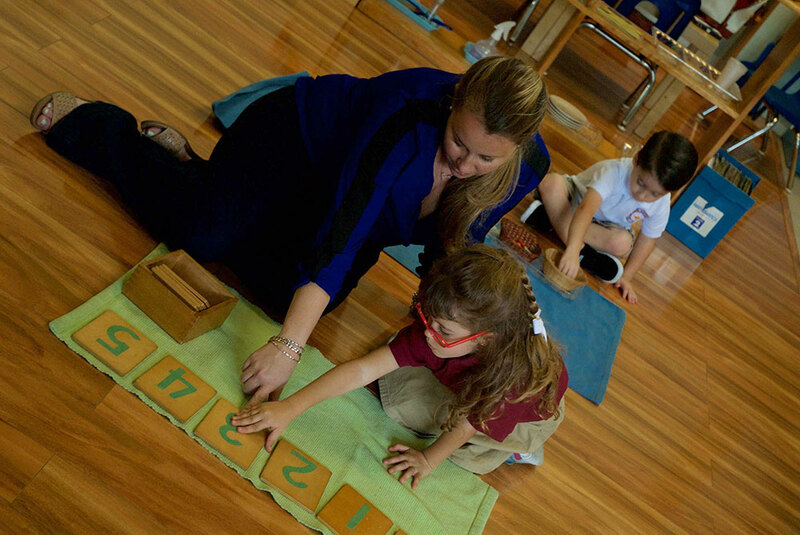 All Montessori lessons contain dual purposes: the direct purpose of conveying the concept presented and the indirect purpose of providing either a foundation for a later, more complex activity, or a more detailed investigation and practice. The Elementary program therefore acts as an extension to the Primary program aimed at creating maximum benefit for the student. The discipline, sequencing, organization, and attention to detail acquired by the Primary child when “washing the table,” an exercise involving some 32 steps, now enables the Elementary child to master the intricacies of the algorithm for long division as well as the challenge to communicate logically in a factual essay. The seemingly uncomplicated toddler has evolved into a questioning, reasoning, and challenging young investigator and experimenter interested in seeing how and why all things work in the universe. To meet the student’s new demands, the Elementary school provides an interdisciplinary program centered on initially revealing the mysteries of the child’s physical universe. We then branch out into other disciplines either as they illuminate this world, or as they relate the story of people’s struggles and accomplishments in living on this planet. In this way, the child receives the curriculum in an interrelated fashion. Throughout these discoveries, the student undertakes a personal quest for his or her contribution to this fragile yet magnificent universe. The child comes to realize his or her place as a member of a social unit. He or she experiments with relationships and their demands within the security of a purposefully created and observed environment in the Montessori classroom. The child is assisted on his or her developmental odyssey in a variety of ways that build responsibility, gratitude, compassion, independence, and cooperative living skills. The child is given freedom and space to develop, search, fail, and succeed. The staff of Montessori-trained educators fosters a learning experience that involves imagination, risk-taking, independent exploration, and accomplishment. Children develop strength and self-confidence by reflecting on and overcoming obstacles on their own. The Von Wedel quest is for the development of not only a scholar, but a contributing human being. The Elementary classroom is home to students from various grades in the same classroom. Older students model and teach younger students in collaborative learning experiences that encourage social development and academic skills. The multi-year age grouping guarantees that each student will proceed at his or her own pace without the artificial pressures of grade level, and within a specially designed curriculum and environment, replete with time for individual attention. By working on projects in mixed-age groups, students learn to appreciate the value of different kinds of contributions toward a common goal and develop their ability to function effectively in a team. Lesson size typically varies from one to six students in virtually all critical subject areas. These small, similarly-skilled groups of students take part in individual follow-up assignments as well as a series of long-term, collaborative group projects. Throughout the day, ever-observing teachers are prepared to offer one-on-one assistance for a student with remedial lessons given on the spot. In this purposefully designed environment, however, the priority is to give the child the time and space to overcome his or her own obstacles and build intellectual and emotional strength and self-confidence. From early on, our students experience the human continuum of reaching, stumbling, reflecting, and overcoming as the path to self-development. Teachers encourage students to question, take risks, face challenges, seek to know why and how something is and not just what it is, and build problem solving and reasoning skills. Our students “make friends with mistakes” and so turn mistakes into natural and common learning experiences. Throughout the classroom experience, we focus on our students acquiring both the process of learning as well as specific academic content. Von Wedel students work with professionally trained, full-time teachers who address all core subjects with an interdisciplinary approach for the multi-year experience. Parents observe and confer with head teachers twice a year in scheduled meetings and as needed throughout the year to nurture the dynamic partnership between child, parent, and teacher. Parents also receive a detailed year-end report on the academic, social, behavioral, and emotional growth of their child during the year. We base this work in the Montessori curriculum and allow students to work with the Montessori materials until they reach a level of abstract understanding and move to paper. This movement to paper happens at different times for different students. As we arrive on paper, students will complement their Montessori learning with Singapore Math to help them develop more complex problem-solving skills. Language enables the child to develop independence, self-knowledge, and self- confidence. It allows the child to begin to thrive as an individual. At Von Wedel, Language is much more than reading and writing, more than conveying thoughts. It enables students to clearly formulate thoughts for themselves, by themselves. Our Language Arts curriculum therefore strives to nurture both clarity of vision (the ability to define ideas) and clarity of communication (the ability to share ideas with others in conversation and in writing). We present Language Arts to students as the vehicle that human beings use to communicate and create culture. As part of a balanced literacy program, the Elementary program employs a reading workshop approach. Each day in reading workshop, teachers provide direct and explicit instruction through a brief mini-lesson, along with a stretch of time for students to read books at appropriate levels. 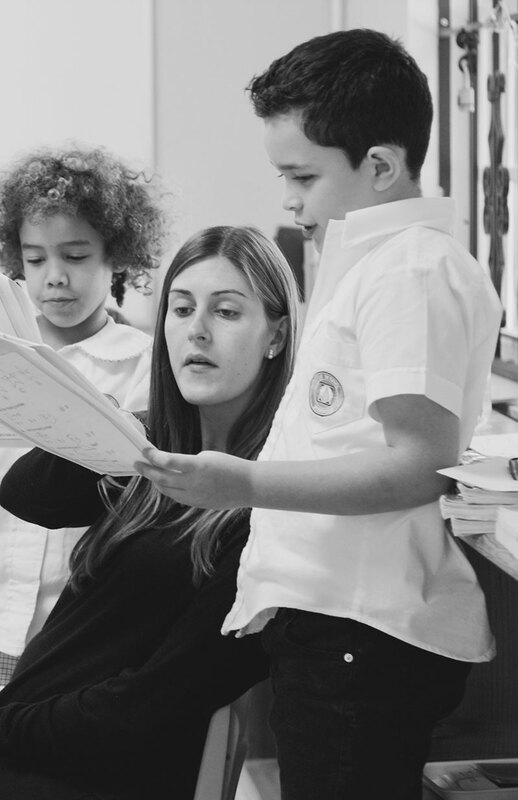 As students read, teachers provide assessment-based conferences and coaching. The instruction teachers provide in mini-lessons is designed to teach skills students can draw on in everyday life, such as monitoring for sense and using the whole of the text to gain meaning. Directly following the mini-lesson is the heart of the reading workshop, in which students have time to read “just-right” books and to practice the set of skills they have been taught. As students read, teachers work with individuals in carefully-chosen groups to target specific areas of need and to provide support to meet the needs of each child, while other students talk with partners about their books, working alongside another reader to find deeper meaning. The reading curriculum is fueled by different units of study across the year which contain a balance of fiction and nonfiction reading. Teachers channel reading so that, for designated chunks of time, students are reading similar kinds of text. This enables students to practice the specific skills and strategies they are learning about in the whole-class instruction. Over time, students build a good understanding of literary conventions and techniques. They explore a variety of genre: realistic fiction, formula fiction, fantasy, traditional literature, poetry, non-fiction, essay, newspaper, and even magazine articles. Students learn and experiment with the elements of a story: character, plot, theme, setting, points of view, style, and tone. The goal is that the skills and strategies students practice will impact the quality of their work in other curricular areas, such as cultural studies (history, geography and science) and mathematics. Students in the Elementary program write for a variety of audiences and purposes and in a variety of contexts. Teachers provide time for students to write in an extended context using a writing workshop format several times a week. As with the reading workshop, teachers convene students for direct instruction on specific writing skills, and then – immediately following this instruction – allow students to practice these skills in their own writing as they move through the writing process with increasing independence. The goals of our writing workshop are to help students to develop a sense of qualities of good writing, to write with stamina and volume, and to develop foundational writing skills that will serve them well in Middle School and beyond. The writing curriculum is designed to complement the reading curriculum and presents a balance of narrative and expository writing. Additionally, students use writing to grow ideas and extend their thinking in cultural subjects, science, and mathematics. In addition to the comprehension skills taught in reading workshop and the composition skills taught in writing workshop, the curriculum includes explicit teaching in phonics, spelling, and grammar. Students engage in word study (synonyms, antonyms, compound words, etc.) and grammar (analysis of parts of speech and of parts of a sentence) lessons designed to support the transfer of word knowledge into their reading. During writing workshop, students are supported in transferring all they have learned during word study to their independent writing. What is life like today? What was life like before? These are the kinds of questions that form the essence of the Montessori approach to history. The purpose of teaching history is not to pass off a collection of facts but to arouse awareness of, gratitude for, and – when necessary – regret for the work of other human beings. History is the center of the Elementary Montessori curriculum since it is the story of humankind and, therefore, threads together all knowledge. History is the center of the curriculum since it calls the students to develop responsibility, empathy, compassion, and cooperation by observing what it takes to function in society with others. Finally, history stands as the linchpin of the program since it provides students with the opportunity to comprehend, reflect, and question in a way that builds their creative and individual reasoning and decision-making powers to affect their future actions. Three guidelines drive the study of history: analysis of fundamental needs (nourishment, clothing, shelter, defense, and transportation), the creation of culture, and the impact of physical geography on humanity’s decisions. To access history, we appeal to student imagination through stories, impressionistic charts, maps, and elaborate, detailed, illustrated timelines. We also expose students to exact names, dates, events, and places and clearly establish the linkage between a person’s actions and the imperatives of his or her geographic location. Students pursue science in the Elementary program along three distinct tracks: life science, physical science, and earth science. We seek to understand life on earth and how it impacts humans; the natural order and laws of the universe and the delicate balance that exists between them; and, finally, the structure of the universe, from the quantum to the cosmic. The goal is for the students to appreciate the connections and interconnections between all things, and to get a sense as to the importance of keeping those things in balance. As guides to the development of our elementary students, we, parents and teachers, constantly seek the fine balance of family time, extracurricular life, and free-play with developing intellectual skills, responsibility, organization, and a strong work ethic. Extracurricular activities enrich the lives of our children as well as broaden their talents, contribute to the development of their identity, and provide them with joy. Free-play builds their social skills, self-reliance, creativity, and problem-solving abilities. These activities provide our children an opportunity to relax and release after an active day at school. A challenge of creating a routine for our children is not to over-schedule, but to provide opportunity for growth, variety, and a change of pace. As a school, Von Wedel appreciates that there is enough conflicting research available to support or refute almost any stance on homework. Our philosophy is that homework serves a variety of purposes. Homework will be gradually introduced in the first year and will be expanded upon during each successive year of school. Expectations for homework are adjusted as needed to suit individual needs and abilities. Teachers will send home directions and materials for completing homework with students at the time the assignment is given. Students are encouraged to ask questions about any part of these instructions that he or she does not understand. If a student takes substantially more than the suggested time to complete a homework assignment, the student and his or her parents are encouraged to stop the work and let the teacher know that this was the case. If the student needs significantly less time to complete the work, the parent and child should share that information with the teacher as well.